​The issue of nuclear weapons and an independent Scotland is one of the most hotly contested questions concerning independence. The Scottish National Party has made its opposition to nuclear weapons a primary point in arguing the case for an independent state. 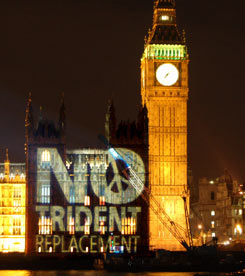 The argument has usually been made in terms of SNP opposition to the renewal of the UK’s Trident missile system, but SNP spokespeople have also stressed its rejection of all nuclear weapons. First Minister Nicola Sturgeon continues to endorse this position and it continues to be one of the major reasons advanced for an independent Scotland. Is this a genuine position or is it just rhetoric? After all, the SNP conference in October 2012 approved a resolution stating that an independent Scotland would seek to remain a member of NATO. This decision constituted a sharp reversal of the previous policy opposing NATO membership. The issue of Scotland and NATO requires serious analysis, not sloganeering. ​This remains the official SNP position. Nevertheless, despite the consistent position on nuclear weapons, the SNP has vacillated in its position on NATO. Yet NATO’s policy is clear. Nuclear weapons are an important part of the alliance’s arsenal. In a statement issued in 2012, the member countries reaffirmed that “nuclear weapons are a core component of NATO’s overall capabilities.” Furthermore, “NATO will remain a nuclear alliance.” As a military alliance, there is an understanding that member nations will permit the United States, the NATO country that holds the vast majority of the alliance’s nuclear weapons, to make use of military bases within their territory. ​This has left the SNP in a delicate position trying to balance its policy opposing nuclear weapons with its desire to maintain friendly relations with the United States. In the 1960s, the SNP was clearly opposed to Scotland’s membership in NATO. In the 1970s, the SNP altered its previous policy, proposing that Scotland’s continued membership in NATO would be contingent on it ceasing to be a nuclear alliance. To be clear, the SNP was suggesting that it would be willing to support membership in NATO, but only if Scotland was not required to host nuclear weapons and if the alliance stopped considering nuclear weapons as a critical component of its arsenal. These were conditions that had no possibility of being fulfilled, so the SNP’s change in policy was more one of attitude, rather than a significant shift in position. ​By 2012, the SNP was a party in power seeking to present itself as a mainstream alternative to the Westminster parties. Furthermore, the agreement to hold a referendum on Scottish independence had just been reached and the SNP leadership was worried that opposition to NATO might cost pro-independence forces favourable votes. At its annual conference in October 2012, the party’s leadership rammed through a policy committing the SNP to “maintain NATO membership subject to an agreement that Scotland will not host nuclear weapons.” This position represented a distinct change in SNP policy, not only from the one that had previously been held, but from any of the party’s prior statements. At times in the past, the SNP had conditioned any possibility of remaining in NATO on a change in the alliance’s policy on nuclear weapons. The 2012 statement made no mention of NATO policy, but rather narrowed its concerns to the hosting of nuclear weapons in Scottish territory. ​The SNP has had a difficult time justifying its willingness to maintain NATO membership, while maintaining that an independent Scotland would be free of nuclear weapons. As a result, SNP leaders have presented a series of deliberately misleading statements. When Alex Salmond, then the first minister, explained the new policy in a statement given to the BBC Scotland immediately prior to the 2012 conference, he pointed out that “twenty-six of the 29 countries in NATO are non-nuclear countries.” This statement is true, but irrelevant to the issue. No one seriously believes that an independent Scotland would attempt to become a nuclear power. The real issue is whether Scotland would continue to permit its military bases to be used by U. S. submarines and planes armed with nuclear weapons. ​Faslane is not only the home port of the UK’s submarine fleet, it also hosts U.S. subs carrying Trident missiles. 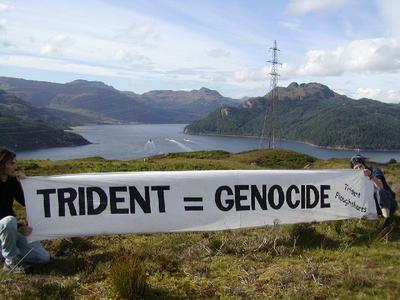 Should an independent Scotland remain a member of NATO, U. S. submarines would continue to use Faslane, so Scotland would not be free of nuclear weapons, even if the UK’s submarines carrying Trident missiles were moved to an English base. ​Most of those who support Scotland’s continued membership in NATO realise that, in general, member countries agree that their military bases can be used by U. S. subs and planes armed with nuclear weapons. Still, they argue, a country can explicitly opt out of this informal agreement and still continue to be a member of NATO. To validate this claim, they point to Denmark and Norway as countries that have approved resolutions rejecting the stationing of nuclear weapons within their territory and yet remain within NATO. ​In April 1988, the Danish parliament approved a resolution stating that visiting warships would have to be notified of that country’s policy on nuclear weapons. The resolution was passed over the opposition of the government, then controlled by conservative parties. Thirty-one years previously, the Danish government had issued a statement that it opposed nuclear weapons and would not allow them within its territory. This earlier statement had remained a mere wish, so the 1988 resolution was an effort to implement the guideline adopted in the 1950s. ​The 1988 resolution created a significant diplomatic stir. The United States reaffirmed its position that it would not notify a host country as to whether a specific sub or plane carried nuclear weapons. Furthermore, the Danish government was convinced that actually implementing the resolution would lead to Denmark’s being forced to withdraw from NATO. ​An informal and confidential agreement was forged that enabled both countries to resolve this impasse. The Danish government sent the United States and NATO a formal memorandum stating that it opposed nuclear weapons and did not want them on its territory. Then, when a specific submarine or plane notifies the Danish authorities that it is about to use one of its military bases, the Danish government sends a note notifying the United States that it “assumes” that the visit will be “in compliance with” Danish policy. No mention of nuclear weapons is made in these follow up notes. ​This informal agreement remains in force to this day. Furthermore, U. S. officials have made it clear that the Danish understanding is “similar to an arrangement with Norway.” Both countries continue to adhere to a nominal policy of opposing nuclear weapons within their territory and yet both continue to allow U. S. submarines carrying Trident missiles to dock at their naval bases. ​The reality is that NATO membership is incompatible with a genuine determination to ensure that a country is free of nuclear weapons. The Danish government understood this, so it agreed to an arrangement that eviscerated the resolution approved by its parliament. ​The current SNP policy is untenable. As long as Scotland remains within NATO it will not be free of nuclear weapons. As it stands now, it is very possible that Scottish independence would lead to the UK eventually moving its Trident fleet from Faslane to an English port. This would not mean that Scotland no longer hosted nuclear weapons. The United States would continue to dock its submarine fleet at Faslane, including those subs carrying Trident missiles. An end to such visits could only occur if and when Scotland leaves NATO. 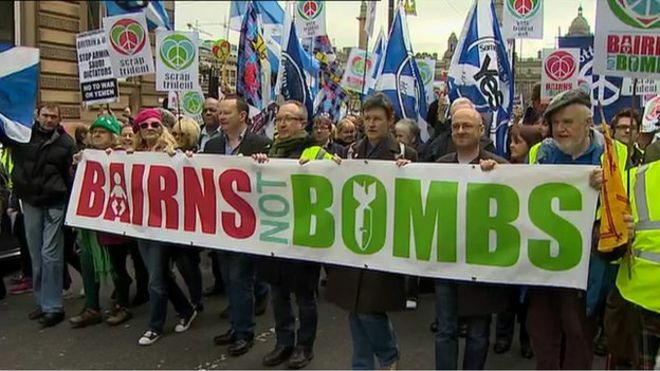 ​The call for a nuclear weapons free Scotland has widespread popular support. Making it a reality will require not only expeditiously moving the UK’s Trident fleet from Faslane, but leaving NATO as well. Without this, Scotland will be left playing a part in an elaborate masquerade aimed at bolstering the spurious credibility of a sham policy. We will be left with a meaningless gesture without substance. ​The Scottish peace movement should set NATO as a priority issue. As long as Scotland remains within NATO its military bases will continue to host U. S. submarines and planes carrying nuclear weapons. Scotland can lead the way toward a peaceful future, and a world without nuclear weapons, but only if it leaves NATO. It is easy to feign “not in my name” by opposing nuclear weapons. But the SNP’s committment to stay in NATO, a “first strike” organisation is to say the least, inconsistent. Staying in NATO is pretending to oppose nuclear weapons. The decision by the SNP conference in 2012 showed the lack of commitment to disarming nuclear weapons worldwide, by committing an independent Scotland to be a member of NATO, it endorsed the ‘first strike’ policy held by NATO. There is a bigger story to be told about the backroom dealings that went on during the 2012 conference to garner support from sections of the party that were opposed to membership of NATO due to the role played in the Middle East and drone strikes in other states. You don’t say if you were at that Conference in Perth in 2012 but I was a Delegate and I was never, never approached about how I would vote on behalf of Shetland Branch. I can tell you that we had a lengthy Mandating Meeting before I attended and I was instructed by my Branch to vote for joining so long as certain conditions were met over nuclear weapons and locating the Trident Subs on the Clyde. The conditions were included in the Motion that I voted for. If you were there you will remember it was a ‘card’ vote and in the end pretty close with joining NATO with Conditions winning. Charles I was at the conference and like you was not approached about my views on the issue, probably because they knew my views on the issue of NATO. I also spoke in the debate from the platform. There were particular groups of delegates who were targeted by leading members of the party to encourage them to vote in favour of the motion put forward by Angus Robertson. Does it really, though? Depending on how you ask the question, you can just about get a majority in opinion polls once you’ve excluded “don’t knows”, but it’s really not as clear-cut as we often try to make out (and some opinion polls show the reverse). Couple that with the fact that those who only oppose Trident because of its eye-watering costs rather than any moral objections are unlikely to give two hoots about hosting nuke-carrying US submarines, and I doubt there is a majority against Scotland being in NATO due to the issue of hosting US submarines. I also suspect there are regional disparities in the opinion on nukes anyway – there’s obviously widespread opposition in the West of Scotland, but in all my time canvassing in Aberdeen, the issue of nukes has come up only once, and it was because someone who liked the idea of having lots of SNP MPs in Westminster in 2015 was put off by our stance on Trident (although I talked her round). Now, none of that is to say that the SNP or the wider movement should stop being against nuclear weapons – if nothing else, it would be ignorant of the historical closeness of the independence movement and the anti-nuclear movement in Scotland – but there are certain issues where we sometimes believe our own hype a bit too much and ignore what the public are actually telling us, and I suspect this is one of those issues. Thanks Doug – would be good to share some references for these debates about public opinion. I see the point your making though I haven’t experienced the pro-Trident Aberdeen lobby you describe. Interesting idea on regional variation, are you putting that down to people being outside the ‘kill zone’ beyond Faslane? John Curtice’s website has a bunch of Trident polls: http://whatscotlandthinks.org/search?query=trident&From=&To= I’ve not checked every single one, but none of the ones I looked at had a huge majority against nukes. I wouldn’t call it a “pro-Trident lobby” as such, because that makes it sound like folk actively love Trident, whereas I think most folk who support it’s retention just do so because they’ve been convinced it somehow makes us safer. I think if they’re not in your backyard, then that sense of imminent extinction doesn’t really come into play and you’re left with just those who have moral objections to the very idea of nuclear weapons, and those who have objections over the amount of money they cost. Can we say for sure that the level of anti-Trident feeling would be as high as it is now if it was based in Portsmouth or something instead of Faslane? I don’t think we can, therefore we can’t even assume all those who object to Trident just now would really mind nuke-carrying US subs being hosted in Scotland every once in a while. As with so many things in life, if something isn’t actively affecting someone’s life, they tend to not think it’s an issue, which of course is why the planet is going to die. Two weeks ago I attended the first global conference in Dublin on US/NATO bases worldwide and it was fruitful to ponder, in that context, the positions an independent Scotland will take as regards its place in the world. As well as NATO, there is the question of Europe. Frank Keoghan of the People’s Movement in Ireland gave a disturbing account of the rate at which the European Union is progressing its plans for a European defence structure, including a European army. Already signalled in the Lisbon Treaty, the Permanent Structured Cooperation (PESCO), aimed at the structural integration of national forces, was initiated in practice last year and involves 25 countries (including the UK). It is unlikely that Brexit will remove the UK from PESCO since the arrangement allows for involvement on non-EU countries. At present there is an ethos of firm collaboration with NATO but there is also the vision of adding a military dimension to a significant global economic player – a new tooled-up power bloc, possibly even with nuclear armed-status in view, with serious questions about accountability to the European Parliament. On NATO and nuclear weapons it is a pity that Eric has not mentioned the new UN Treaty on the Prohibition of Nuclear Weapons (TPNW) which will empower an independent Scotland, after ratification, to take an unequivocal stance on nukes, and committed not to entertain any aspect of the nuclear weapon activity of another state. Currently in some European NATO member states the anti-nuke campaign has pointed out that nuclear weapons are not in fact an article of the NATO alliance Treaty, just a policy, and are arguing that membership of NATO is not per se incompatible with ratifying the TPNW. This tactic is of course would not make sense for a fresh start Scotland but we should be aware of it as a factor in the global scene. As regards the SNP it is well accepted that it is a broad church with an element favouring conventional Western takes on international security but I am sure that there is a genuine and sincere core to the party’s stance on nukes. My worry would be slightly different – that the anti-nuke stance is taken as a given that needs no immediate elaboration or action leading to complacency. The issue needs to be constantly refreshed by action and in this context it has been good to see the Scotgov decision to review those safety aspects of the nuclear weapon convoys that lie within its jurisdiction. There is much more that could and should be attended to right now in terms proactive compliance with the TPNW as regards Scots law, divestment, and education. For the record re the 2012 Conference NATO debate, the NATO position was only won by 15 votes. If I recollect correctly the author of the article organised a fringe event at the 2018 SNP Conference. Their were four panellists , none representing Scottish peace movement organisations, the CND panellist was from UK CND. I agree with David’s more positive focus on the way forward particularly the importance of the 2017 Treaty on the Prohibition of Nuclear Weapons. To that end SNP CND are “promoting” the draft resolution below and the accompanying note in the hope that SNP branches will consider submitting it for the “new look”SNP National Conference that will take place 26th to 28th April EICC Edinburgh. * developing SNP Defence and Foreign Policy. What about the thousands of tons of obsolete, toxic weaponry lying on the seabed off the West coast? If Faslane was to be evacuated of nuclear weapons, who would be responsible for cleaning up the mess left behind. I’ve read that it is possibly responsible (at least partly), for the very high incidence of poor health in the area. NATO, like other military blocs in the modern world, is fundamentally destabilizing as it polarises opinions, demonizes the enemy to justify its existence, supports the military-industrial-etc complex, provokes the enemy with manouvres and siting of offensive weaponry, augments state secrecy and promotes unaccountable corporations, hastens the development of weaponry and offensive doctrine/tactics to achieve force imbalance, works against international peace movements and undermines legal restraints, and fosters a paranoia about the strengths, deviousness, intent and ideological sway of its chosen opponent (who may mirror all of the above). NATO would bypass the general public and make waging war a matter for a shadow elite. Also, the pretexts for war are never going to be satisfactorily robust. Remember the Gulf of Tonkin. Basically, any excuse can be fabricated and not uncovered before it is too late. Attribution is a huge problem now with modern cyberattacks, chemical weapons, double agents, false flag successes and remote or automated or hackable devices. NATO is not going to go through the court of public opinion before launching first strikes. The evidence suggests that both NATO and the Warsaw Pact leadership frequently misread each other’s intentions and failed to imaging how their actions would be interpreted by the other. System bugs, unexpected phenomena, human error, psychosis, religious mania, ideological hatred, lack of de-escalation planning. It seems that every year there are more declassified documents showing how close we all came to global nuclear destruction.